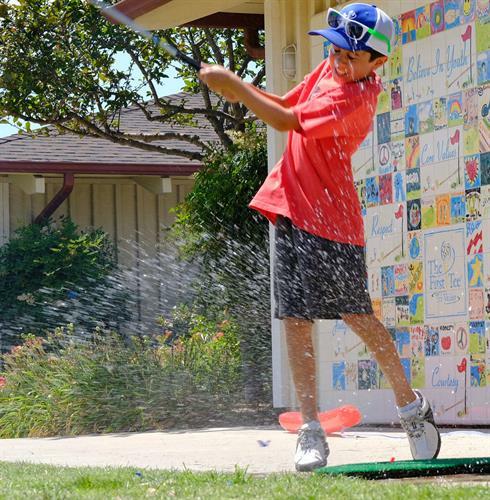 Our chapter was established in 2005 with the mission to positively impact the lives of young people by providing programs that build character, instill life-enhancing values, and promote healthy choices through the game of golf. 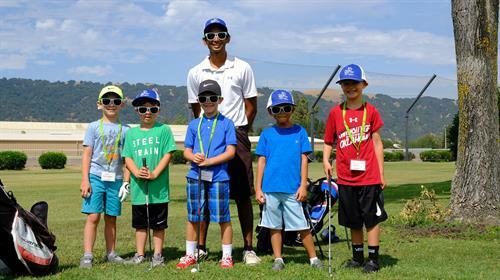 The First Tee Life Skills Experience Classes, Camps & Clinics provide children with the opportunity to develop positive, personal, social, and cooperative skills. 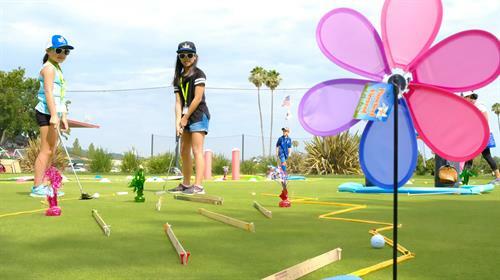 Participants learn through real world application of these skills in a golf environment and at the end of each class they are challenged to apply these life skills at home, school, and/or other activities. The National School Program in more than 35 elementary schools throughout Dublin, Fremont, Hayward, Livermore, Pleasanton, and San Ramon. We train physical educators to introduce children to the game of golf, the Nine Core Values, and the Nine Healthy Habits during regular physical education classes. Our practice facility is located on the Alameda County Fairgrounds. Use the Pleasanton Ave entrance of the Fairgrounds to access our practice facility.